The engine developer and manufacturer ebm-papst bonds steel stators to aluminum housings. 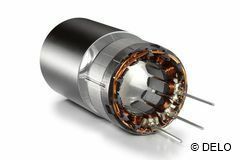 They use these assemblies in electric motors of the new modular ECCI drive series. These high-performance multi-pole drives reach a very high torque in a small amount of space. 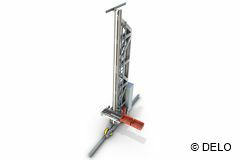 The tension-equalizing adhesive used gives better strength in torque tests than the previously used product. Bonding with it could be successfully qualified as a reliable and durable joining method even at high torque. The adhesive combines an elongation at tear of 30 % with a temperature range of use up to +180 °C. What is more, it has higher extruding forces and adheres very well to a smooth metal surface. Therefore, the complex process step of surface roughening can be omitted. In advance, numerous tests have been conducted in DELO’s labs and by the customer. 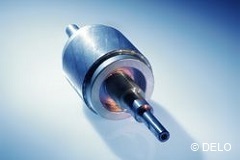 For example, the bonded electric motors were aged in temperature change tests (-40 °C to +120 °C, 15 cycles). In collaboration with Gebhardt Fördertechnik and TU Kaiserslautern, DELO has developed a storage and retrieval machine made of steel, aluminum and fiber composite – called “Cheetah”. It shows how structural bonding puts future technologies, such as light-weight construction, into practice in mechanical engineering and plant construction. DELO’s adhesives are used to bond magnets into the stator housing made of zinc-plated steel for electric motors. 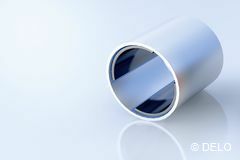 In this case, the DELOMONOPOX epoxy resin was chosen thanks to the strengths it achieves on magnet and zinc-plated steel. In addition, the adhesives gives high impact resistance, equalizes tension, and can be used at temperatures up to +200 °C. One-component heat-curing epoxy resins are mainly used when bonding temperature-sensitive components. Since they also cure in thick layers, they are excellent to bridge gaps.